When discussing the subject of the Wrath of God, sometimes one imagines some difficult questions that accompany the justice of it all. Of course we are talking about the God of the Bible, and especially if He is what He says He is in the Bible. For some starters, if He truly is infinite in knowledge, then He knew before He created any one that they were going to fall and come under His Wrath. If He truly is infinite in Power and Wisdom, then He could have created man in such a fashion he would not have fallen and lived in paradise for ever. This would eradicate any need of Wrath toward mankind. But not only did He choose not to do this, but He purposely placed a tree within man's reach that would appeal to him and told him to leave it alone. Then He let in the tempter to test him. If He is truly Omnipresent (everywhere at all times) then He was there watching the tempter, aware of every word and move, and did nothing. Nothing could be happening that was not purposed and ordained in the mind and will of God. Much more could be said about God and His plan that is revealed in scripture, but I think this is sufficient to get the point. If all these things are true, how is His Wrath justified? And how does He remain free from fault? Since He is infinite in nature and all His attributes, we must concede there are most likely an infinite number of reasons and ways that have not occurred to us as fallen finite beings. So what ever understanding we might have of the nature of things, it is highly limited and extremely weak. This is not because He is keeping these things from us. Our thoughts simply are not capable by nature to comprehend such things in their fullness. But there are things in scripture where we can glean some knowledge with our mind as He reveals them to us. This is not offered as an excuse for poorly answering the questions, it is as Will Sonnet would say, “No brag, just fact”. (Surely you remember “The Guns of Will Sonnet”). One such place in scripture which might help us is the account of Moses delivering Israel from Pharaoh. You will find the account in Exodus chapter 7, and a brief commentary on it in Romans chapter 9. I would recommend the reading of both before continuing here. Now that you have read the scriptures, I'm sure you can see God had a plan. He used Pharaoh as a means, even stating He had raised him up to power for this very purpose. 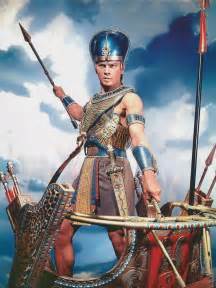 Then after completing those plans God kills Pharaoh for the things he did in fulfilling the very purpose for which he was raised up by God. If God caused Pharaoh to do all those things, how can He then justly execute His Wrath upon him? It is here in this account we get a glimpse of what infinite Wisdom might look like when flashed before us. Let me take a short side journey for a moment. Do you remember the little animated movie “A Bugs Life”? If not, you would do well to find it and give it a watch, it's very funny. 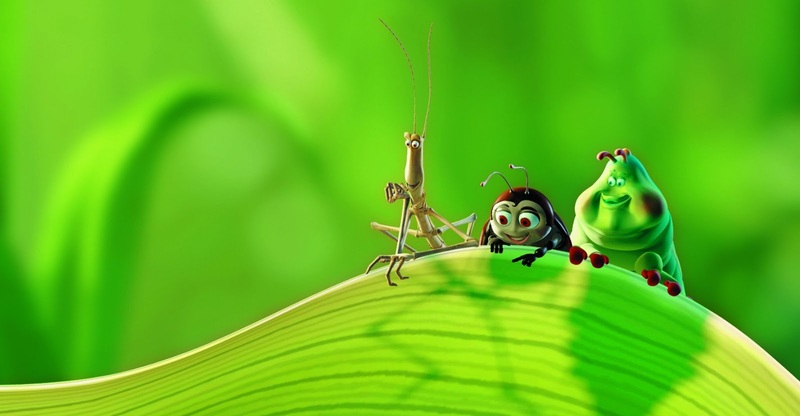 There is a scene in which in their journey they come across a bug light. We all know what bugs lights are for! This little bug sees it and heads for the light. The others are screaming for him to stop, but he just flies on ahead. They start yelling, “Don't look at it” but he replies back, “I can't help it” and we soon hear the sound of frying. The point here that helps us, is no one made the little bug go to the light. No one put anything into the little bugs mind that made him go to the light. All that was done, was someone simply set out a bug light, and because of the nature of the bug he was compelled to go to it. That is why we put out bug lights, we know and understand the nature of bugs. I know this is a weak analogy and I am in no way comparing us to bugs. But it helps us understand Pharaoh a little better. God is said to harden his heart and it is said he hardened his own heart. We must understand, God put nothing in Pharaoh's heart that was not already there. He presented him with circumstances that simply brought those things to light. Since God is infinite in Wisdom and He is the Creator, He has complete understanding of who and what we are. Even in our fallen state He understands our nature entirely. He knew what Pharaoh would do because he understood his nature. What Pharaoh did he did of his own free will, his heart was hardened because of its fallen condition. Therefore his actions against God were his own, and the wrath he incurred was justified. In Romans Chapter 3 we find that we are all in this state, and except God shows mercy, we by our nature will not look for Him. We will deny His existence or condemn Him for His injustice against us. Like the little bug, we will fly into His Wrath. This is not an answer to God's Wrath, nor does it explain creation, the fall, redemption, judgment, and consummation. But it opens our minds to the great possibilities of Wisdom that is found all through scripture and demonstrates to us that things are much more complicated and deep than we might first imagine. God has so ordained His creation that we, even as fallen beings have this life experience. We are born, live, and die. During this time allotted to us, we all experience varying degrees of sufferings, joys, hopes, successes, loves, and all the things that make up this life experience for us. Depending on the condition of our heart, we either find ourselves drawn to God or find the idea of God obnoxious to our minds. Pharaoh died in the sea because of the things he did, but God's Wrath is upon him in hell because of what he is. We will be judged by how we live this life experience, but unless we receive God's Mercy and abide in His Grace, we will experience the Wrath of God in hell because of what we are. We are not fully told in scripture how the change affected Adam in the fall and the changing of his nature. But we do see a man in the beginning walking with God, looking for God and enjoying his presence. 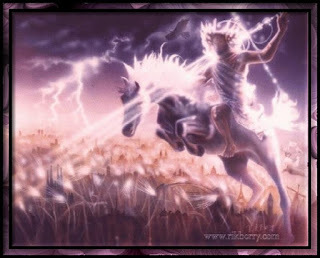 We then see the same man hiding from God, dreading his presence, instead of walking with Him we see him running from Him. We see a man that wants to live in the garden, just not with God. He wants to be left alone, to live by his own rules and understanding. If he could, he would steal the earth from God, cast God out of his understanding and live unto himself. If anyone came to him wondering about where he came from, this man now if possible would deny there was a God. He would look desperately for some other way to explain his origins. This is the state of man. It is high treason and incurs God's Wrath. This Wrath is infinite in duration because the crime is against an infinite Being. His mercy provides a plan in redemption, His Wisdom again displayed. Perfect justice cannot just pardon a crime. A crime gone unpunished leaves an offense unpaid. An injustice is committed. When an infinite Being pays an infinite debt, one is free. This is not an injustice, justice has been met, the offense satisfied. Thus the Wisdom and Power of Christ in the life of the Christian. The Bible tells us this will be foolishness to many, but to some it is the Power of God unto Salvation. It is the joy and hope of the Christian. Men to whom He is revealed fear Him because of His Wrath. Those to whom He has shown mercy love Him because of His Grace. Those who deny His existence hide from both. You are alive, does this mean anything to you. Your life and all your experiences has been and is revealing the nature of your heart. Where do you find yourself? Does your heart fear because of what you know about yourself? Have you convinced yourself you are nothing, you came from nothing and you will return to nothing? Your conscience is hidden from any crime, for the only justice you might receive is from man alone. Are you resting in the Grace of God, trusting His Providential care, abiding in the peace of God. Like Adam at the first, looking for Him, searching for Him, enjoying His presents!